Switch on your senses and go outside on a Nature Detective mission with dirtgirl. 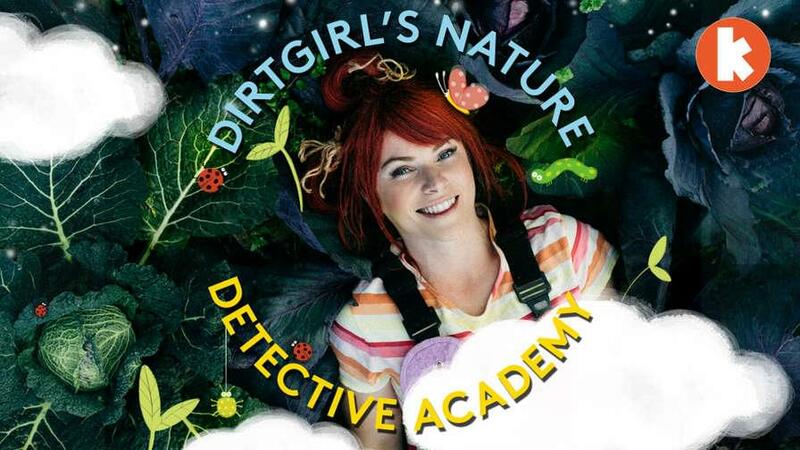 Switch on your senses and go outside with Dirtgirl’s Nature Detective Academy new kids' podcast! It’s time to roll up your sleeves and grab your overalls because dirtgirl’s brand new podcast series is here on Kinderling Kids Radio. Dirtgirl’s Nature Detective Academy is an invitation for kids to switch on their senses and go outside - wherever they live - with one of their best friends, dirtgirl. From seeds to trees, butterflies to chickens, clouds to rainbows – dirtgirl wants to share so many amazing little things that make a big difference to our planet. The podcast is full of fun things to do, poems, tips, amazing facts, and real-life nature sounds to connect you with the outside, before you’ve even stepped out the door. The series also features the awesome music from dirtgirl’s hit TV show, Get Grubby TV. Are you ready to tune in and switch on your senses? Listen now! Today’s nature guest is a beautiful leafy tree. Let’s meet a feathered friend. Learn all about fluttering butterflies. Today we’re learning all about flowers. Let’s get grubby in the dirt! Look up Nature Detectives! Today we’re leaning about clouds. Join dirtgirl on a mission to find a gratitude pebble. Today’s mission is extra special... we’ll be exploring rainbows. Let’s get to know and grow tomatoes. Splish splash! Let’s explore puddles. Meet a very special nature guest – a sprouty seed. It’s time to get grubby with gooey squishy mud.